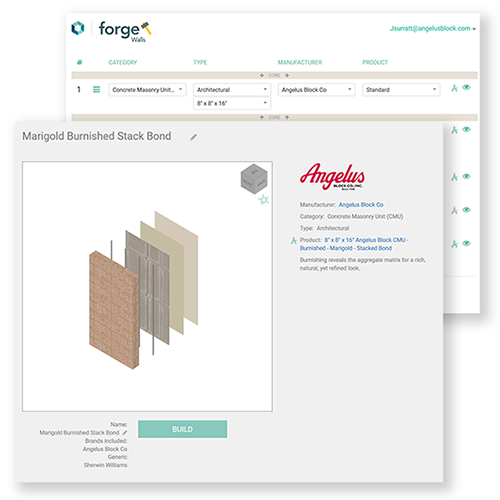 Configure custom wall assemblies for Revit with Angelus CMU quickly and easily with BIMsmith Forge. Build and download a complete wall assembly—structures, membranes, even paint—choosing producer-specific or generic products. View, rotate, explode, and rearrange items as you build.